Records, photographs, objects and information about local servicemen and women. 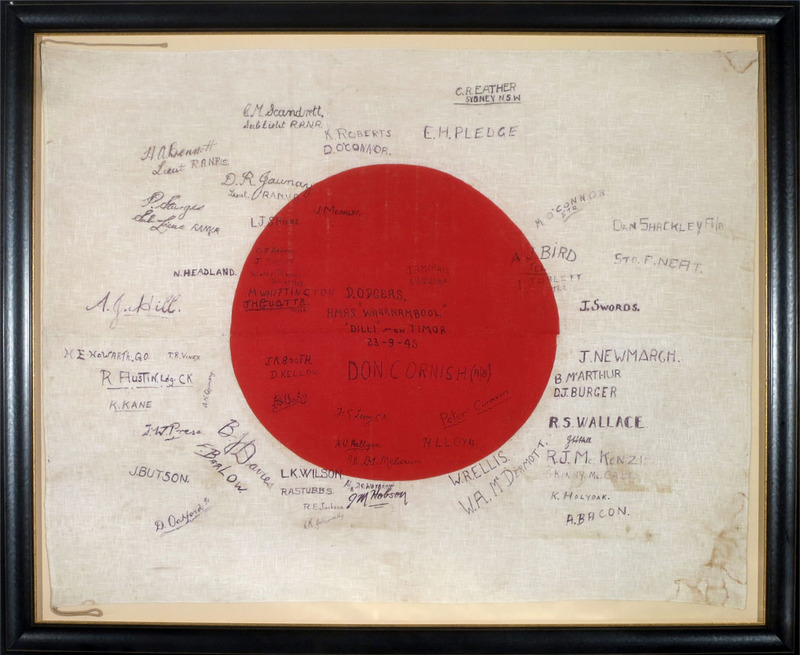 Signatures of the crew of HMAS Warrnambool, who souvenired this flag from a Japanese compound in Kupang, Timor, on the day of the Japanese surrender, 11 September 1945. The flag was brought home to Kandos by Des Odgers RAN.